The best-selling business book Exponential Organizations: Why new organizations are ten times better, faster, and cheaper than yours (and what to do about it) was just translated into Danish by our own Kris Østergaard. The book has been heralded as transformational for all companies in today’s digital, information driven age. It double clicks on companies like Uber, Airbnb, and Netflix, which have experienced unprecedented, exponential growth. It examines what these companies are doing right that enables them to scale so big so fast. The book also advises existing organizations and emerging startups on how to implement the attributes of exponential organizations (ExOs). DARE2 co-founder Laila Pawlak recently sat down with the author and thought leader Salim Ismail in New York City to discuss the release of his book and what the findings mean for Denmark and Danish companies. 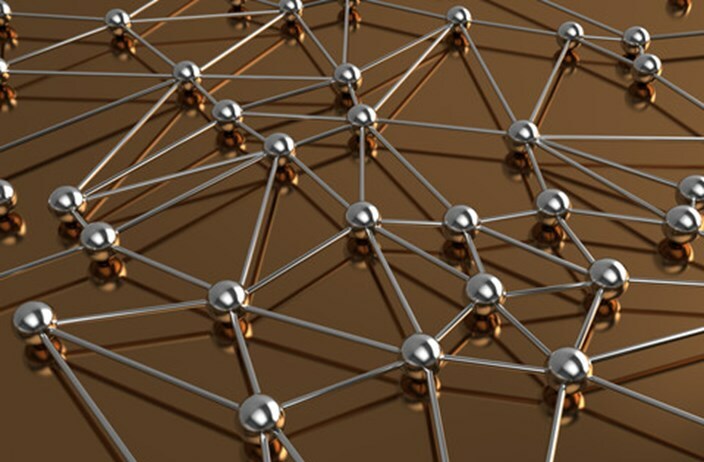 What is an exponential organization? Laila: Congratulations on the huge success of your book! Why don’t you tell me a little bit about what Exponential Organizations is all about? Salim: Well, we’re hitting an inflection point about how we build businesses. Our old way of doing things was to get an asset or resource, put a boundary around it, and then essentially sell access to the scarcity of it. In the last few years, we’ve seen a new breed of organizations that keep a very small footprint and leverage a set of externalities to reach outside themselves and tap into abundance. So, Airbnb taps into an abundance of extra bedrooms that are unused. Uber taps into an abundance of the latent supply of cars and drivers sitting around. And when you can tap into this idle capacity, you are able to scale very, very quickly. The basic thesis of the book is that we’ve learned how to scale technology pretty effectively and now it’s time to learn how to scale the organizational structure, which has been painfully incremental and linear until now. Laila: For those who haven’t read the book, are there a couple of things you would highlight that are the key takeaways for people to know? Salim: Sure! If you’re building an organization, look at what information enabled externalities you can leverage. Get public or private data sets and do some machine learning algorithms against them or another idea. The effect of doing this is game changing. If you look at P&G or Johnson & Johnson or any other big CPG companies, it takes about 300 days for them to go from idea to product on a shelf. The startup Quirky is an ExO doing the same process but bringing an idea to market in just 29 days. That’s extraordinary. I would also tell companies to pick an MTP or a Massive Transformative Purpose. All exponential organizations have one, which enables them to build the basis for 10x performance compared to their peers in the same space. Laila: How do you figure out the MTP? Where do you start? Salim: The MTP is the deepest problem that you want to solve. So, for Google, it’s to organize the world’s data. It’s an aspirational, very high-level statement of where you want the company to go. It’s very purposeful and very transformational on a global level. For Singularity University, it’s to impact a billion people. For Quirky, it’s to make invention accessible. Coca-cola has just picked one. Their new mantra is open happiness. It gets everyone excited. In a world where you want to attract and retain talent, an MTP becomes critical and we’re finding that brands are morphing into this concept. So, we think picking the MTP, then finding the team and community, then finding the breakthrough idea is the way to go about becoming an exponential organization. Laila: It seems like a lot of startups today are following this methodology and are almost born exponential. What is your experience of this? Salim: Well, typically the average startups is born out of a great idea or technology and then they seek to find a marketplace for the idea. 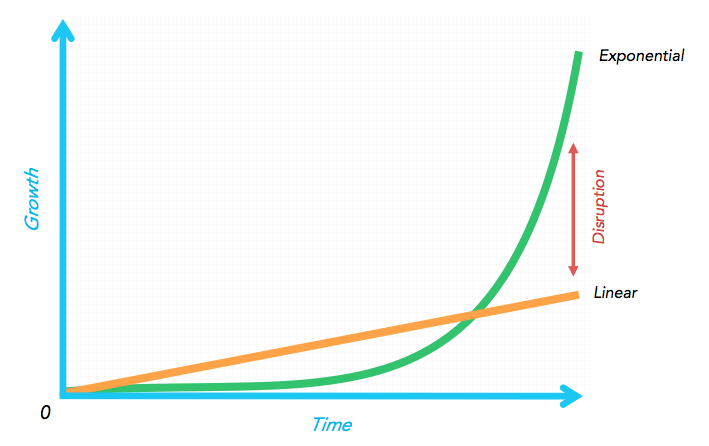 We actually see that exponential startups build themselves in the reverse order. First they pick their MTP or the market need they are going to solve. Then they form a team and community around that purpose and finally find the breakthrough idea that will inform it. We’ve created a 12 step program for startups that explains how exactly to do this while also applying lean methodology. You still have where you create a minimum viable product, get it out there, iterate it, and then implement the techniques in the book to scale and leverage externalities while keeping the proper control mechanisms internally. Laila: What about big corporations that can’t build themselves from the ground up like startups. What is your key advice for them? Salim: Big companies have a particular challenge in that they have to adapt. Our strong suggestion is do not take a large company and try to turn it into one of these exponential organizations. It’s too radical of a change and you risk throwing the baby out with the bath water. What you can do is a couple things. 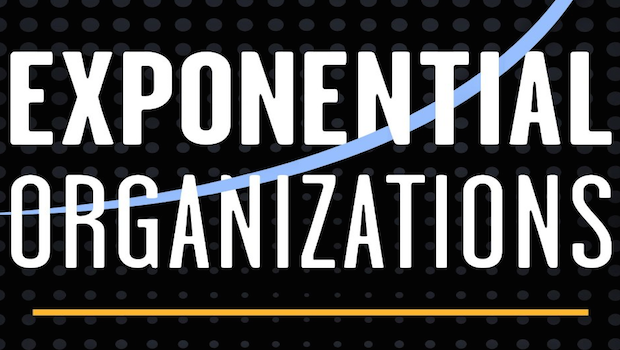 One, find the change agents in your organization, take them to the edge, and have them build an exponential organization on the edge of the corporation. Apple does this exceptionally well. They take a strong disruptive team, keep them totally stealth, and tell them to disrupt another industry, which is what we think more and more companies will have to do in a world where you are either being the disruptor or the disrupted. The second piece of advice is that given the pace of change, large corporations should partner with incubators or accelerator programs and fund their disruption. We’re seeing lots of great programs facilitating this connection like thinkubator and SU labs where big companies partner with startups to tap into the startup mentality and catalyze their own disruption. Medium size companies actually have an extraordinary opportunity because while a startup is really hard to build, SMEs are established and have a great chance to exploit these ExO opportunities and totally blow it open. Laila: A lot of Danish companies are in-between being a startup and a big corporation. Do you have any advice for what they should do to adapt to the exponential mindset? Salim: Medium size companies actually have an extraordinary opportunity because while a startup is really hard to build, SMEs are established and have a great chance to exploit these ExO opportunities and totally blow it open. Robert Goldberg is a VC in Silicon Valley that’s doing this. He goes in to small companies that have kind of plateaued and works with them for a quarter to apply some of the ExO principles and see if they can double the growth rate in that time. He’s done that over the last two years with forty companies. So, there is a clear process here where you can take an existing organization and blow it open. Laila: Interesting. In Denmark, we also have a very active state and many public organizations. Is it possible for a government organization to go exponential? Salim: Absolutely. You know governments have a natural MTP. Their job is to serve the needs of the citizens of that country or region. Traditionally, public organizations are very linear or even sub linear, but there are some extraordinary examples of governments embracing the ExO principles like GDS of Government Digital Services in the U.K. When they created the new passport application process, they actually talked to users, used design thinking, and the steps similar to what we’ve been talking about for startups. Their MTP was to ‘delight people with the process’ and when they launched the application they got a 94% approval rating. When was the last time that happened to a government? Laila: We’ve been talking about taking it to the next level and creating Exponential Denmark, for example. Do you think it’s possible to hack a whole country? Salim: Yes, I think every country can be seen as a brand. Denmark has some extraordinary brand attributes and it’s the right size. In the last few centuries, if countries wanted power they had to be big. You had to have access to critical resources, industries that could scale, and that could give you heft. Today it’s a huge liability to be a big country. China, India, the US, and Brazil are all struggling heavily because it’s too hard to manage the information flying around to really navigate the country. Small countries now have all the advantages because being flexible and adaptable in a very turbulent world is going to be really important going forward. Laila: Awesome. Thank you! Do you have any last remarks? Salim: Yes. I just want to say that I’m hugely excited about the book Exponential Organizations coming out in Denmark. Huge thanks to Kris Østergaard from DARE2 for translating it. I’m particularly excited to come to Denmark and do some promotion for the book. I believe Danish entrepreneurs can really change the world. I come from an Internet background and every single open source Internet innovation seem to come from Scandinavia. I think the opportunities and possibilities are really quite amazing for you guys to change the world.